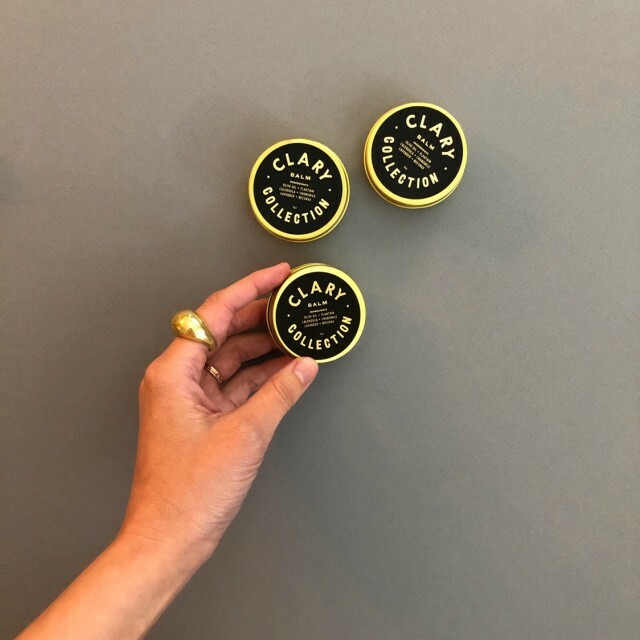 Use Clary Balm as often as needed on lips, hands, face and anywhere in need of extra care. The bright and beautiful Calendula flower, or marigold, enlivens blood vessels deep in the epidermis and increases circulation, bringing healing power to the skin’s surface. Chamomile gently stimulates cell turnover and regulates the skin’s metabolic process. Fragrant Lavender has been proven to settle the nervous system, easing pain and tension. Plantain, found growing wild in even the most difficult places, soothes inflammation and effectively counteracts irritation caused by sensitivity or injury. Hippocrates called Olive Oil “the great healer” and Homer called it ‘liquid gold’. The key to Olive Oil’s power lies in three major types of antioxidants: vitamin E, polyphenols, and phytosterols – all of which are critical to proper cell-turn over and skin metabolism. They bind to free radicles created by sun exposure and environmental toxins and prevent them from causing cell damage. They not only slow the process of declining collagen production due to aging, but they also encourage the production of new collagen. Olive Oil penetrates deeply into the skin, won’t clog pores and is a highly beneficial addition to every skin care routine. Beeswax forms a protective barrier that shields skin from environmental assault. An efficient and natural humectant, it attracts water molecules and holds them close, retaining moisture. Unlike petrol-based substances, beeswax is breathable and won’t suffocate pores. Beeswax also carries anti-inflammatory, antibacterial and antiviral benefits and is highly useful in treating irritation and minor wounds.